A leading Dutch association of investors has claimed that many of the country's pension funds, insurance companies and banks "fail to adequately apply guidelines on international law and human rights" with respect to investments linked to the Occupied Palestinian Territories. 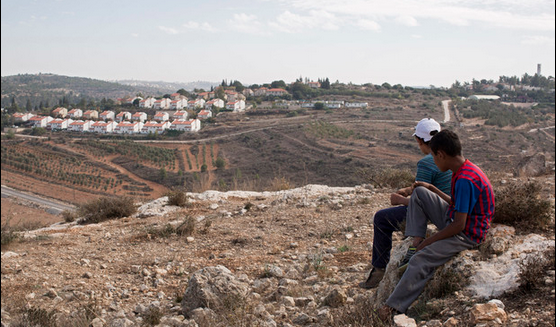 Israeli government takes credit for ABP decision not to divest - but is it telling the truth? Following recent decisions by major European investment funds to cut ties with Israeli entities, the announcement last week by Dutch pension fund ABP that it was not excluding Israeli banks was greeted with some relief by Israel and its lobby groups. SodaStream International Ltd., the Israeli maker of home soda machines with a factory in the West Bank, sank to the lowest since 2012 in New York amid growing criticism for businesses operating in a territory that Palestinians seek for an independent state. SodaStream slumped 3.3 percent to $35.34 in New York, the lowest since Nov. 20, 2012. The stock plunged 26 percent on Jan. 13 after SodaStream reported worse-than-forecast preliminary earnings for 2013. U.S. Secretary of State John Kerry, who is leading U.S. The Danish bank had already decided to pull its investments from Africa Israel Investments Ltd.
Update to the Urgent Appeal issued in April 2013 by the Civic Coalition for Palestinian Rights in Jerusalem. The Appeal, including background, is available here. On January 31, leading international business newspaper the Financial Times published an editorial criticising SodaStream and illegal Israeli settlement firms. On December 27, the town council of Villar Focchiardo, in the province of Torino, voted unanimously to approve a resolution condemning Pizzarotti & Co SpA of Parma for its involvement in the Israeli high-speed railway crossing the occupied West Bank. Dutch pension fund PGGM announced on the front page of its website today that it had withdrawn tens of millions of Euros worth of investments from five Israeli banks.